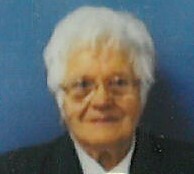 HELEN KOMADA (nee Pawlowski), age 100; beloved wife of the late Wojciech; devoted mother of Maria Mysliwiec (Kazimierz, deceased), Lucyna Golebiowska (Wladyslaw, deceased) and Jadwiga Maczka (Jacek); cherished grandmother of Andrzej, Ewa Szymanski (Konrad), Basia, Anna, Wojciech (Jodi) and Lukasz; loving great grandmother of Cynthia, Matthew, Beata, Mia and Macie; caring great great grandmother of 1. Helen is preceded in death by her parents and six brother. She is survived by many friends and extended family. Friends may call at GOLUBSKI DELIBERATO FUNERAL HOME 4747 TURNEY RD. CORNER of GARFIELD BLVD. FOR VISITATION ON SUNDAY, NOVEMBER 25, 2018 FROM 3-7 PM. Prayers will be held at the funeral home on Monday, November 26, 2018 at 10:00 am followed by a Mass of Christian Burial at Immaculate Heart of Mary Church at 11:00 am. Interment St. Mary's Cemetery. In lieu of flowers the family request contributions be made to support Helen's 5 years old relative, Marysia, in Poland battling cancer. Information as to where contributions may be sent will be provided at funeral home. Online condolences may be submitted at www.GDFH.net.